Who doesn't like flowers and above all, who wouldn't prefer some great wedding decor. 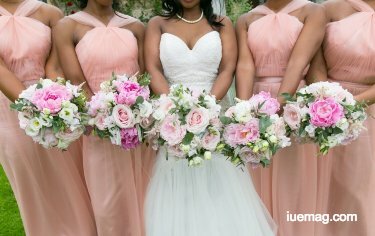 Here's a list of 25 creative inspiring ideas to bring flowers to add value to your wedding decor. Read ON! Flowers come in all sizes, shapes and colors. 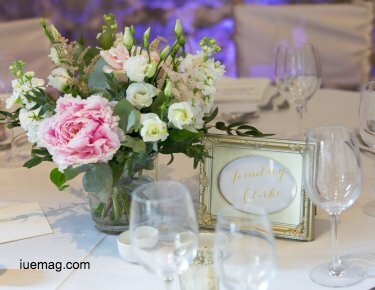 Weddings are a wonderful way to portray the diversity of flowers. You can play with the flowers as much as you want and come up with something wonderful for the décor. 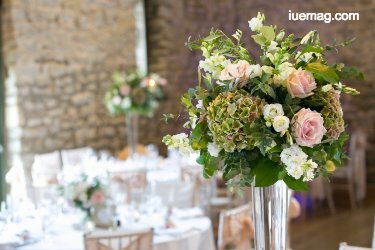 We have identified some innovative and creative ways for you on how to use the flowers during your wedding. Instead of using wholeblossoms for centerpieces, go for bouquet styled approach for your centerpieces. Create the miniature of the bridal bouquet as the centerpieces for the table. This time, the groom’s men can throw flower petals instead of the flower girls to make things interesting. The tradition of tossing the bouquets towards the girls can be changed and make it for both men and women. An engaging game for the guests would be to identify the flowers of the décor pieces. The one who names the most flowers takes away the prize! Instead of reciting the vows under a fancy arch, create a circle of your loved ones and stand in the center with your partner to recite your vows. The guests can hold flowers on hand to respect and appreciate the moment. Some simple shapes on the floor with flower petals can be a unique décor for the wedding. Just heart shaped floral décor with the initials of the couple is good enough for a personalized touch. 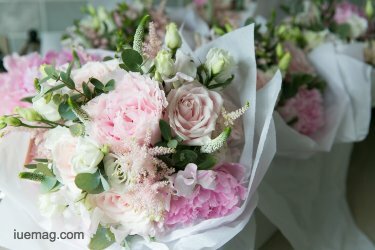 For the guests, a simple wholesale flower from websites such as wholeblossoms.com is good enough to make your wedding memorable for the guests. Instead of clichéd floral crowns or corsages, make garlands or floral neckpieces for the bridesmaids. Give each guest a flower petal to write a word that they feel is relevant to the couple getting married. This could be a good gesture for a wholesome message. Serving the desserts on a plate shaped tree branch with a small flower added to it will add extra sweet to the dish. Gift your partner a journal of memories with flower décor on the journal. Add pictures and notes to make the journal personalized. For grand weddings, you can turn your wedding venue into an artificial flower garden with the décor style and pattern. Bring mascot of the main wedding flower who would distribute flower among the kids. In indoor weddings, decorate the entire ceiling with garlands and foliage to get a grand look. Make a gender neutral floral accessory for you and your partner. Surprise your partner with a box of chocolates and flower bouquet right before the wedding vows. You can decorate the chairs of the couple with a floral crown at the top. For the flower girls, give them floral anklets as accessory. Select on type of flower that comes with variety of shades to create colorful theme for the wedding. Save the garnishing and fondant cost through decorating the cake with wholeblossoms. Instead of sparklers or sprays, use pop out flower for your grand entrance. 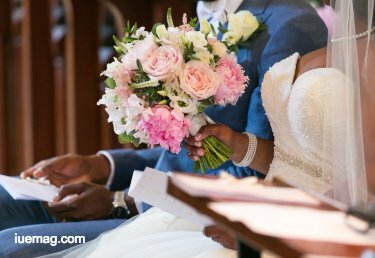 Exchange flowers that are meaningful to you right before reciting your vows. For indoor weddings, decorate the chandelier with flowers or actually create one with your favorite wholeblossoms. You can also create floral wind-chimes for the ceiling. A floral backdrop with pictures of you and your partner can be a romantic and unique approach for the wedding. Instead of using clichéd centerpieces, use small flowers at the end corners of each table. These are some of our creative tips for the wedding flowers. Add your own thought to it and you will have the perfect combination of innovative floral designs and themes. Share your designs and ideas in the comments below and let's inspire more creativity with use of flowers. Any facts, figures or references stated here are made by the author & don't reflect the endorsement of iU at all times unless otherwise drafted by official staff at iU. This article was first published here on 26th April 2018.